Professional indemnity insurance (PII) is among the top overheads for law firms, and has led to countless closures by the SRA over the years, with many unable to obtain cover. Now, challenges facing the market range from uncertainty as a result of Brexit to the rise of AI. Professional indemnity insurance (PII) is among the top overheads for law firms, and has led to numerous closures by the SRA over the years, with many unable to obtain cover. Now, challenges facing the market range from uncertainty as a result of Brexit to the rise of AI, so The Lawyer asked a panel of experts – what’s going on in the PII market? What are the trends and disruptors shaping the UK PII market? Sarah Clover, head global PI team, Clyde & Co: There is a recognised link between economic health and professional liability claims. We may see an economic decline so the impact of Brexit is being watched closely. But predictions are always difficult and, due to geopolitical uncertainty, economic forecasts are even more uncertain than normal at the moment. If we see a downturn and falling house prices we may see an increase in property-related claims against lawyers and valuers, including claims relating to failures to spot mortgage fraud red flags. Likewise, we may see claims that lawyers have negligently performed advisory or drafting work in a range of areas, for example by failing to include (or exclude) a ‘Brexit clause’ or advise on this, by failing otherwise to draft contractual agreements in such a way as parties could (or could not) pull out of deals easily/cheaply or give the requisite advice on this, or by failing to adequately to provide for or advise on the impact of currency fluctuations. Regulatory pressures continue to be a key issue for professional services firms, and the issue of parallel civil and regulatory proceedings continues to present challenges. The focus on early co-operation with regulators has implications for coverage triggers ion a range of professions, in particular those without minimum terms. And the disruptive effect of AI will be felt more and more. There’s no doubt that AI offers professional firms many opportunities and benefits, including being a ‘risk reducer’. 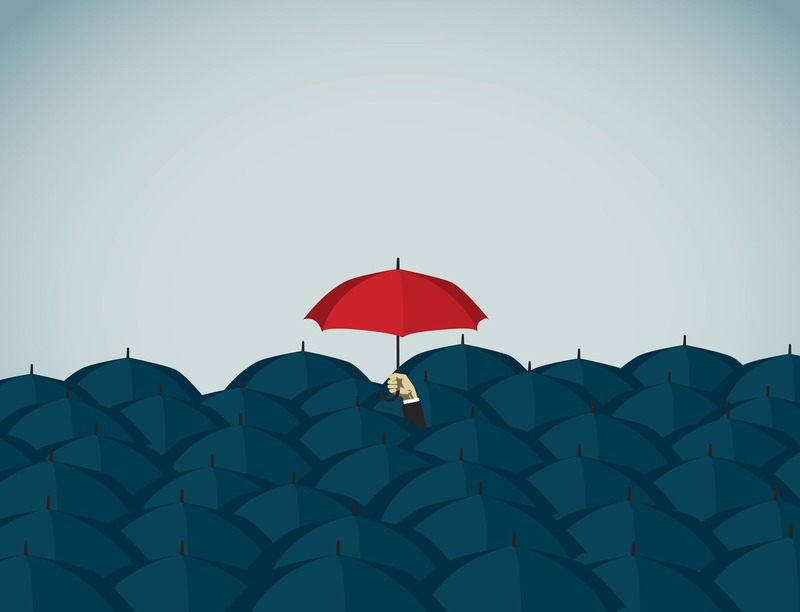 More broadly, insurers and brokers are looking at other market disruptors such as facilitisation and data analytics, which have their roots in the personal injury market, while considering opportunities to offer coverage beyond PI risks. Brett Warburton-Smith, Partner, Lockton: We are seeing a benign PII environment for UK solicitors in 2017. This is a function of strong competition with the arrival of reputable A-rated markets and ongoing improvement in the claims history of the profession since 2011. But a number of variables making the longer term outlook less certain. Personal injury work is seeing the most significant changes. Firms specialising in this work are squeezed by court reforms. The Jackson proposal to extend the fixed recoverable costs regime sees the possibility of these being applied to civil cases with a value of up to £250,000. Together with the steps being taken to introduce a limit for road traffic accident (RTA) claims of £5,000 and other non-RTA PII claims of £2,000, we envisage a reduction in small personal injury claims work and an rise in the use of cheaper, unqualified staff. Overall, we expect a slight fall in the number of claims from personal injury work. However, this is likely to be offset by the significant rise in quantum of some claims as a result of the change in the discount rate announced by the Ministry of Justice. Residential property still dominates the profession’s claims experience – albeit at a lower level than a few years ago. Litigation-related claims have been a steady source of claims, although their value is much lower. Fraud is the only claims cause consistently on the rise and, while not often cyber crime per se, more frauds involve a cyber element. With the advent of the General Data Protection Regulations in 2018 law firms face stringent regulation on information security. Solicitors must address data security and cyber risk issues now. Clare Hughes Williams, partner, DAC Beachcroft: Insurers are reporting that, while the frequency of claims in this area is down, the severity of claims when they arise is significant. This is, in part, due to the rise in court fees which has made litigating smaller claims economically unattractive for claimants. Data breaches are a concern for PI insurers given their ramifications for the professions, particularly so against the backdrop of a relatively soft market in terms of premium. It is not yet clear what impact Brexit will have on the UK property market but a significant fall in value could see more claims against surveyors, valuers and solicitors. Insurers will be watching developments closely and considering where opportunities for safe growth exist. One disruptor to the market may well be the guidance awaited from the Supreme Court on aggregation. Judgment is expected in the next few months and, again, insurers will be watching. What liability issues face professionals and their insurers? What types of claims are we seeing and why? Clover: The recent decision in Dreamvar v Mishcon de Reya has caused a stir, and is the latest in a line of cases concerned with solicitors’ liabilities in cases of identity fraud and imposter sellers. The High Court imposed liability for breach of trust on the solicitors acting for the purchaser, declining to relieve them of liability for breach of trust notwithstanding a finding that they had acted honestly and reasonably – a conclusion that seems at odds with a regime of practical conveyancing guidance that seeks to apportion responsibilities fairly between the parties. In terms of mitigating the risks there are no easy answers, but firms should be looking at their engagement letters and the advice given, plus further checks that might be carried out in relation to the risk of identity fraud. Worryingly for insurers, the court placed emphasis on its finding that Dreamvar’s losses could be absorbed easily by insurers. An appeal is rumoured, the High Court having granted permission. More broadly, the government focus on professionals as ‘gatekeepers of corporate behaviour’ is likely to see increased scrutiny of advisers, after cases such as the Panama Papers and recent HMRC crackdowns as well as the proposed ‘tax avoidance enablers’ legislation. Tax advice remains a key area. While mass-produced and marketed schemes are more effectively monitored and pre-approved by HMRC than in the past, in view of, for example, the disclosure of tax avoidance schemes (DOTAS) regime, bespoke planning is an issue and may be no more likely to withstand challenge as avoidance. Further, the period since the financial crisis has seen a step-change in legislative and case law developments away from the taxpayer (and his advisers) and in favour of HMRC. Warburton-Smith: The Minimum Terms and Conditions (MTC) set by the SRA has been the gold standard ever since the compulsory open market came into being with the demise of the Solicitors Indemnity Fund in 2000. The SRA is hoping to water down the breadth of cover of the MTC which they see as a barrier to entry to providing legal services. The SRA intends to launch a consultation in September 2017 with a view to implementing changes in the following year. The previous consultation in 2014 led to proposals to cut the limit of indemnity to £500,000 and require firms to assess an appropriate level of cover. The Legal Services Board (LSB) rejected the proposal to reduce the level of cover but did agree to require firms hold an adequate level of cover. The LSB called for further evidence to support the other proposals. The SRA has collated claims data over a 10-year period from participating insurers which was released for review in October 2016. The new consultation will we believe contain a number of the previous proposals, including a reduced limit of indemnity and an aggregate limit on claims. The indications are that there is a real risk of the SRA causing firms to be under-insured, clients struggling to get appropriate compensation and damage occurring to the reputation of the legal profession as a whole. How are cyber risks affecting the PII sector? Clover: Cyber risk covers a wide variety of risks and can refer to a data breach or a data loss. Human error, whether loss of data (the electronic equivalent of leaving a file on a train) or failure to detect an attack, (for example, spear phishing), is a big risk, with law firms increasingly targeted with so-called ‘Friday Frauds’. Ransomware is a fast-moving area, with the increasing number of reported data breaches pushing the issue of data breach – and cyber insurance as a means of protecting against the consequences – up the boardroom agenda, including in the professional services sector. The PwC Law Firms Survey 2016 stated that 73 per cent of law firms had reported a data security incident. Potential exposures include: first-party costs for notifying clients, forensic investigation and reporting to the SRA/ICO; regulatory investigations; claims from clients and other third parties; legal costs; and reputational damage. Demand for cyber cover is likely to have been fuelled by the Google v Vidal Hall settlement. The Court of Appeal’s decision remains the guidance on compensation under the Data Protection Act and third-party privacy liability, and amounts to a lower threshold for establishing liability. Take-up of cyber policies is consequently on the rise, and we expect to see demand to continue to grow and the cover continue to evolve, and for any confusion over the boundaries between PI and cyber policies to diminish. Brett Warburton-Smith: The hack of Mossack Fonseca put the subject firmly on the agenda and the suggestion that at least one insurer of smaller law firms pulled out of the market in 2015 due to the volume of social engineer or CEO whaling claims is stark. Cyber crime has become a rewarding ‘business model’. Traditional PI policies were not designed to respond to a fast-moving cyber incident. PI insurers are therefore looking far more carefully at the controls and disciplines around the transfer of funds, within the firm, as part of their underwriting process. Some are also considering offering a specialist standalone cyber limit as part of their policy but structured on an aggregate loss basis. These are designed to capture first-party risk and offer a breach response service. Hughes Williams: The regional PI market, like London, suffered significant losses as a result of Friday Frauds a couple of years ago. One estimate put the losses at £60m and some PI insurers withdrew from the solicitors market as a result. Insurers, their advisers and professional bodies have worked hard to raise awareness of these risks. This is starting to pay dividends. Inevitably, it is harder for regional firms to put in place sophisticated IT solutions to combat this risk. Often, smaller firms do not have access to large IT teams and so are inadvertently more vulnerable to attack. But regional firms have, for the most part, made good progress towards protecting their businesses and this has led to a slight downturn in claims. Some regional firms, however, still need to consider potential gaps in their PI insurance and, in particular, the way policies will respond (or not) to the investigatory costs that flow from cyber breaches. Again, insurers and their panel firms are doing their best to help. What is the litigation and insurance law landscape looking like for PI claims? How will this affect the way insurers approach the handling of claims? Clover: In recent years we have identified a shift away from the courts in lower value claims and we anticipate that this will continue. Recent developments include the Professional Negligence Lawyer Association adjudication scheme, which was recently re-launched. While unlikely to be suitable for disputes requiring extensive expert evidence, the scheme may be of value in disputes where the input of an experienced barrister may help determine an issue preventing the parties from reaching a settlement through, say, mediation. Litigation funding is making its mark and its use in professional liability claims is likely to grow, probably in relation to larger claims. We are also seeing more ‘vulture funds’ buying up debt in distressed companies and then taking a driving seat in any litigation brought by the company taking root in the PI arena. While good market practices are likely to mean that the PI market will adjust easily to life under the Insurance Act 2015 some areas, most likely defining what amounts to a ‘fair presentation’, that will take time to bed in. We will see more claims which under the Third Party (Rights Against Insurers) Act 2010 and our view is that the new process will be quicker for claimants and insurers. The market is also keenly awaiting the Supreme Court decision in AIG v OC320301 (formerly The International Law Partnership), on whether claims against a law firm by 200 investors in failed holiday home developments can be aggregated under the Minimum Terms as “similar acts or omissions in a series of related matters or transactions” and, in particular, what sort of connection is required for there to be “a series of related matters…”. It remains to be seen whether changes to the Minimum Terms follow and, if so, if we see more coverage disputes than at present. Brett Warburton-Smith: While the number of claims notified in the solicitors’ PII market has fallen the severity of claims has increased. The decline in claims partly reflects the fact that economic activity in some sectors has still not yet reached pre-2008 levels. Potential claimants may also have been deterred by the rise in court fees. Also, some law firms on insurers’ PI panels have not only seen their rates frozen but, with panels shrinking, fewer firms are having to fight to offer cheaper and more encompassing services to retain insurer work. The specific terms of Brexit, as well as the short-to-medium term economic impact, are uncertainties that all areas of the economy are currently living with. Among the many possible outcomes, a period of economic downturn – particularly one that negatively impacts the housing market – could increase PI insurers’ exposure to professional liability claims. Looking specifically at property and conveyancing legal practitioners, whilst there are some signs that lenders and investors are slackening the discipline they employed immediately after the financial crisis, we work hard with our solicitor insureds to ensure they are continuing to improve their best practices as the first line of defence. Property work is also a key part of another area of development within the solicitors’ liability space: fraud that preys on vulnerabilities in electronic or communication processes. Loosely lumped together with other perils and referred to as ‘cyber’, claims flowing from these sorts of losses are growing in frequency and severity. We’re focused on assisting our insured firms to manage and prevent IT blind-spots and human error causes of data breaches and compromised financial transactions. Some recent case law has caused understandable concern over duties owed towards other parties in a transaction. In Purrunsing v A’Court & Co 2016 the buyer’s and seller’s solicitors were held equally liable in breach of trust. Perhaps more surprising was the recent decision in Dreamvar (UK) v Mishcon de Reya 2016 where the Court held that the buyer’s solicitors, not the seller’s solicitors, were in breach of trust and responsible for loss, despite finding that they had acted honestly and reasonably. This reminds us all that law firms (and their insurers) have a wide exposure based on duty of care and discretion to relieve a solicitor from the duty under s.61 Trustee Act 1925 will not always be granted. Firms should be looking at their client due diligence and checks (even if they have acted for the client previously) as well as ensuring there is clarity around their scope of instruction and engagement letters. Personal injury work has seen a number of changes in recent years and the adjustment of the ‘Ogden’ discount rate is a huge challenge which may well increase the risk of lawyers missing opportunities for higher settlements. With some personal injury award entitlements increasing by as much as 200 per cent, solicitors should ensure they get the timing of their clients’ settlements right to avoid possible allegations of under settlement. Allegations of under settlement will certainly come to pass if solicitors don`t tread carefully with ensuring they get their clients claims in at the best possible time for them. All the changes and uncertainty is having an effect on everyone from lawyers to insurers to claimants and it does nobody any good.